5M develop and manufacture sandwich panels with a honeycomb core in form of flat or shaped parts, with a wide range of surfaces, edges, inserts, inside reinforcing elements, including complex customer structures. Our technology allows for making a sandwich panel according to the client’s needs for particular dimensions, a honeycomb cell size or quality of surface coating. The sandwich construction of panels is mainly distinguished by excellent mechanical properties when keeping a very low weight of the panel. 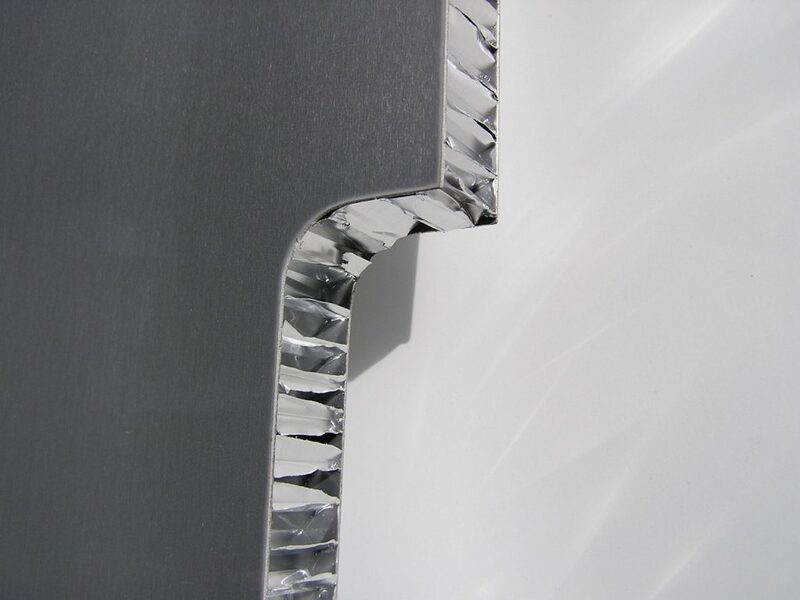 We have a long-term experience in manufacturing panels of complicated shapes, with inserts (for threading, for example), edges or inside reinforcement. We have a well-equipped workplace with trained operators guaranteeing high quality of final products. Glued constructions have a high dimensional and reproducing exactitude, form- and dimensional stability, which allows for exchangeability of spare parts. Thanks to our experience and long-term innovation strategy, we won the prize “Innovation of the Year 2008” from the Czech Association of Innovative Entrepreneurship that awarded us for our project o highly precise sandwich panels for constructing a radio telescope. You can find our sandwich panels in aircraft, road vehicles, trams, buses, trains and industrial machines. 5M manufactures sandwich panels of aluminium, steel or composite materials (fibreglass, Nomex, foam, etc. ).